The history of the Lafite vineyard goes back a long way. In the late 17th century, Jacques de Ségur laid out vines on a vineyard which already contained some areas of vines and his wine was already of a good standard. 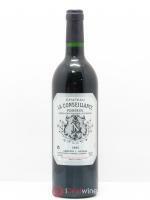 His son, Alexandre, extended the Chateau Lafite Rothschild domaine when he married the Latour heiress in 1695. Their son, Nicolas-Alexandre, built up the prestige and reputation of Lafite in the 18th century and it was popular at Versailles, as well as in Britain. When he died, Lafite passed through a number of hands and was sold at auction during the French Revolution, but the high quality was preserved, due to the skills of the vineyard managers, Joseph Goudal and his family. 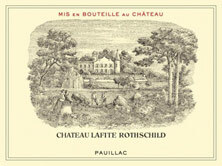 Château Lafite was classified Premier cru in 1855. 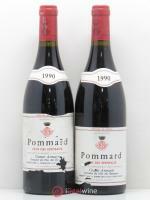 In 1868, Baron James de Rothschild bought the domaine at auction and it has remained in his family ever since. Quality is dictated by an exceptional terroir (a thick layer of gravel on marl, with a limestone subsoil) and also notably by the average age of the vines (over 40 years old), a low yield per hectare and very rigorous selection. In the years 1960-1970 the wines were of poorer quality as the management of the domaine and vinification process was less stringent. Since 1975, this château, lauded by wine enthusiasts the world over, has been producing magnificent wines under the proactive management of Eric de Rothschild. Lafite’s top wine is not the most outgoing of Pauillac wines, but its exceptional finesse, which appears after 15 to 30 years in the cellar, sets it apart, justifying its Premier Grand Cru classé status. It boasts a wonderful aromatic complexity and exudes a distinctive cedar aroma in particular, which is much appreciated by enthusiasts. Great Lafite vintages seem to be able to defy the decades and never die. 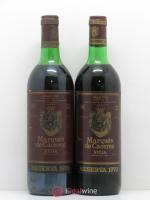 The information published presents current information on the wine concerned and is not specific to a certain vintage. This text is protected by copyright and it is forbidden to copy without prior written consent from the author. Do you own this wine? 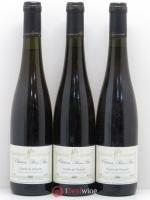 More pairings of "Gibier à plumes"